The key is to teach children the process of being intentional. To continually maintain a sense of purpose in everything they do. Even Field is sounding the alarm in youth sports. What are we prioritizing in coaching and parenting young athletes? 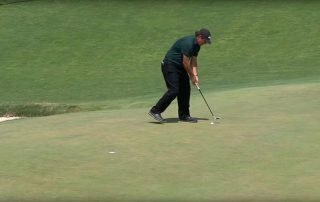 The response of the USGA to Phil Mickelson's intentional infraction of the rules during the third round of the U.S. Open Championship is disappointing. Here are five ways you can help your preteen son or daughter get the best out of the youth sports experience. 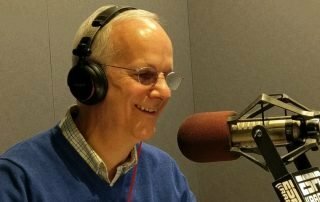 Chuck Wilson reflects on the 25th anniversary of ESPN Radio including the memories he made and the personalities he worked with over the years. Years from now, people will talk about the way in which Lebron put the team on his back and led his teammates to victory. The difference wasn't in the numbers we can measure. It was in the way the two teams channeled their emotional energy. At critical moments, the Warriors lost focus and discipline. A story of how to win in travel sports, and the unintended consequences that it can lead to, when it's time to compete at the high school level. This Little League Softball "game-fixing controversy" is a conversation starter for parents, youth coaches, and young athletes. Chuck Wilson tells the story of how a high school athlete chose to face adversity after suspension. For Pete Rose, dishonesty is a self-inflicted injury that will not heal. The St. Louis Cardinals are being investigated to determine if team personnel hacked into the computer network of the rival Houston Astros. This week's revelations about FIFA's corporate culture are a reminder to us all about the role of character in our lives. Competitive integrity isn't measured in degrees. 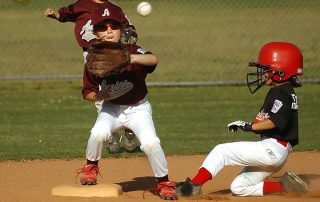 Players and teams have to compete under the same rules and conditions. Barry Bonds is pleased but the decision was based on point of law regarding witness testimony. It had nothing to do with whether Bonds knowingly used PEDs. As we witnessed at this year's NCAA Division 1 Basketball and Hockey Championships, one's strength of character is tested with so much at stake. The name evokes an immediate reaction. For many people, it is a negative one. Two basketball teams kicked out of the high school playoffs. Two coaches suspended for all of next season, their coaching future in doubt. $1,500 fines for each school, their programs on probation. Duke vs. UNC is one of the fiercest rivalries in all of sports. Yet, the two teams and their fans showed respect for the opponent and the game. It was a typical cold, winter day in the northeast. Every available gym in the area featured youth basketball games, one game after another, from early morning into night. For ten years, Brian Williams has been the host of NBC Nightly News. He’s been the face of the news division. New England Patriots defensive back Brandon Browner went over the line when he said he would tell his teammates to try to hurt injured Seattle players. Tim Symczek's character-driven decision in the heat of competition, a decision based on a simple belief. An even playing field is at the heart of fair competition. ‘I Would Like to Set Our Defense’? It was Bill’s first experience coaching youth basketball. “Eye-opening” is the way he described it. On October 7, 2014 Chuck Wilson spoke to parents and kids participating in the youth basketball program at the Father John Doyle School in Coventry, Rhode Island. This past week, I headed to Embry-Riddle Aeronautical University in Daytona Beach, Florida to take part in a President’s Forum on Sports Ethics. You can view the forum presentation below. Youth coaches can help young athletes overcome the fear of failure through confidence-building practice sessions and by getting players more "into the game". If we want young athletes to enjoy playing sports and achieve the most from their abilities and hard work, we need to help them overcome their fear of failure. At 'Football for YOU' Clinics, Even Field will deliver the message that "How" matters in sports and life. Sergio Garcia’s Decision: Honorable or Just Foolish? Sergio Garcia conceded a long par putt to Rickie Fowler on the 7th hole of their head-to-head golf match Friday. It resulted in their halving a hole Garcia was better positioned to win. Was the move honorable or just foolish? After the suspension of Marcus Smart, as well as, the apologies from Smart and Jeff Orr, what should we take away from the player/fan shoving incident? You find out a lot about people when they go through adversity. Here's a look at what Peyton Manning may have learned from his dad about accountability and respect. The play of the Seattle Seahawks and Denver Broncos in Super Bowl XLVIII is a classic example of the ABC Wide World of Sports open with “The thrill of victory and the agony of defeat”. The photograph above shows players and coaches going through the customary postgame handshakes. Studies show that values influence most, if not all, motivated behavior. There is no denying the impact and influence of sports on American culture and on education in the U.S.
We don’t know what prompted an Alabama High School to post a sign Friday night at its football game that showed such insensitivity and lack of respect. You’ve seen the video and heard the voice of Mike Rice. What is the one word that best encompasses the most talked about sports stories of the new year? What’s the Motive For Coming “Clean”? Another high-profile athlete, after years of vehement denials, confesses to allegations of cheating. Why has one of the world’s most famous athletes decided that “now” is the time to come clean? Today’s Baseball Hall-of-Fame voting “shutout” clearly shows the difficulty BBWAA voters are having in evaluating the careers of players from the so-called “Steroid Era”. Will Craig Biggio be elected to the Baseball Hall-of-Fame is his first year on the ballot? The eligible voters from the Baseball Writers Association of America have until December 31st to return their ballots. When you hear the name Lane Kiffin, what’s the mental picture that you see? My admiration for Joe Paterno had nothing to do with his Hall-of-Fame status, his record number of football wins, or his remarkably long tenure as head coach at Penn State. I’m Chuck Wilson with an ESPN Radio Extra Point. Too often we see professional athletes who act as if the sport they play owes them everything, players who have little regard for those who came before them. It was late December, 1978. Dean Smith was bringing his North Carolina Tar Heels to the Rochester (NY) Basketball Classic. That team featured Jimmy Black and Mike O’Koren. Why Do Pro Athletes Make Things Tougher on Themselves? I’ve never quite understood why some professional athletes seem to go out of their way at times to antagonize fans, when being reasonable wouldn’t take much effort. Were Player Suspensions From Saints Alleged “Bounty Program” Deserved? The NFL didn’t win popularity contests with this call. Certainly not with the players, who are expressing disbelief with the year-long banishment of Jonathan Vilma. Many fans also view the punishment as too severe. Why is there a problem seeing the line that separates violence built into football, and violence that is not? The New York Jets are widely being criticized for the trade bringing in Tim Tebow as the # 2 quarterback. Why severely punish the New Orleans Saints for allowing its defensive players to pay teammates bonuses for hits that injured opposing players? The answer is just as simple. The Tim Thomas story extended to the NHL All-Star Game Sunday with team owner Jeremy Jacobs coming to the defense of his netminder. No doubt, you’ve heard the story. The New York Times is reporting that Joe Paterno’s 46-year run as Penn State’s football coach will soon be over. If so, it is hard to think of a sadder exit for a coaching icon. Did Bryant Gumbel Go Over the Line in Criticism of David Stern? Comments made by host Bryant Gumbel in his editorial on HBO’s “Real Sports” have sparked reaction from the basketball world and beyond. When you only hear the results of a court case and haven’t heard all the arguments made, it is dicey to weigh in with opinion from afar. Why Hasn’t Roger Clemens Admitted PED Use? Much has been said and written this week about the indictment of Roger Clemens on perjury charges. Why has he been so vocal and insistent in proclaiming his innocence? Is this a sign that he is being truthful? He is too smart and accountable to leave us with the post-game image of a poor sport. Playing to One’s Potential, Or Running Up the Score? Major League Baseball denies the report, so does Pete Rose’s business agent. Let’s hope both sides are telling the truth. What does it mean to give your word? 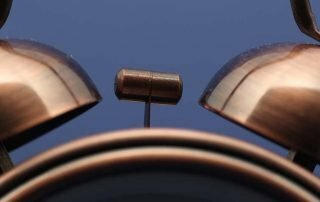 Where is the line between cheating and “gaining an edge”? Is there such a thing as a “gentlemen’s agreement”? University President, It’s Up to You: Mission or Money? You are the president at the University of Miami, Syracuse or Boston College. You have spoken often about the ideals of your school, the meaning of student-athlete and how academics come first. Seven weeks ago, St. Bonaventure University had to deal with perhaps the most embarrassing episode in its history. When Jim Harrick resigned Thursday as University of Georgia basketball coach, he termed it a “retirement”. Perhaps he meant it, perhaps not. Here’s a story that may give you some insight into Georgia basketball coach Jim Harrick. Just what does it take for Major League Baseball and the Players Association to agree to ban products containing Ephedrine? Rick Neuheisel has apologized for not being more candid and says he will work hard at repairing the relationships he has damaged. From time to time we all wonder what it would be like to be rich and famous, what would it be like to be a celebrity. The one drawback to college football’s bowl set-up is that teams wait so many weeks from the end of the regular season until their bowl game. It’s not easy to stay sharp. You have seen the headlines…”Father Sues Canadian Bantam Hockey League after 15-year-old Son Fails to Win MVP Award”. The NCAA Infractions Committee has placed Colorado’s football team on two years’ probation for recruiting violations. Two stories this week about sportsmanship…one regrettable, the other uplifting. This week has provided more proof of the critical role “ego” plays in winning. Steroid use in Major League Baseball has become the hot topic this week. How many players have used the performance-enhancing drugs? What effect have they had on the game?